Globe Tattoo Trumps Competitors - All Chucked Up! It seems that Globe Tattoo has been lording it over its competitors quite consistently and convincingly as well. According to the latest count, Globe Telecom bared broadband revenues of P2.4 billion for the fourth quarter of last year, bringing total revenues to P8.7 billion – a huge 16 percent increase that accounted for the record-breaking P82.7 billion revenues last year of the Ayala-SingTel telecom combine. In contrast, Smart and Sun’s broadband sales showed declines as the Tattoo broadband, back-to-back winners as Best Broadband Provider in the country for 2011-2012 as per global consulting firm Frost & Sullivan, became a hit from the broad youth segment with its “live without limits” campaign. In fact, the brand took in 261,000 new subscribers by end-2012, 77% percent of which are new Tattoo On-the-Go subscribers, according to data furnished by Nikko Acosta, Head of Globe Broadband Business. Acosta said that Globe will continue to offer value-for-money plans that are a hit with the subscribers as he expressed optimism that the company’s latest offering, the customizable plan that allows subscribers to select what they want in terms of internet connectivity, number of text messages and length of calls, gains traction. This new marketing offering, where a subscriber needs to key in what he desires in terms of connectivity, calls and texts, depending on the amount of subscription he wants, has resulted in increased customer satisfaction. 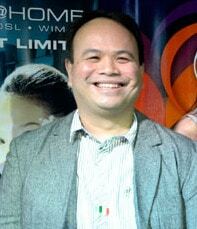 Meanwhile, Globe Telecom posted its highest growth in subscriber base and revenues in the third quarter of 2012 for its postpaid business, adding 300,000 new postpaid subscribers from its year-ago level, compared to just 182,000 new customers gained by its closest competitor during the same period. As a result, the company posted a record growth in subscriber revenues, with P5.8 billion up 25 percent from its P4.6 billion revenues in the same quarter in 2011. 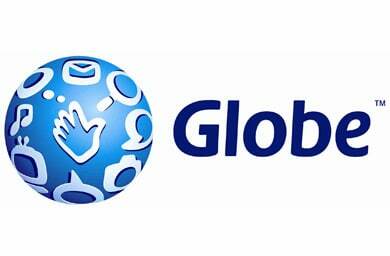 Globe postpaid revenues for 2012 arose from the company’s game-changing product offers and perks as well as its record-breaking iPhone 5 launch in December 2012. Full year net acquisitions also reflected the improving quality of acquired postpaid subscribers with 42 percent of regular postpaid net additions signing up for plans with monthly service fees of P999 and above, compared to just 19 percent in 2011. According to Martha Sazon, Head of Globe Postpaid, the strong and consistent performance of the segment over the last two years can be attributed to innovative and customer-centric offers and deals led by the game-changing My Super Plan launched in 2010. “When it comes to postpaid, subscribers choose Globe and stay with Globe. The deep affinity with the brand has grown tremendously over the years with offers that transformed and enriched our customers’ lives,” Sazon said. “Globe Postpaid maintains a very strong following, making it a strong and resilient force to reckon with amidst the negative tirades and aggressive switching campaigns launched by our competitors. In the end, subscribers know which network really delivers and gives the best value for their postpaid needs, and we thank them for their continued loyalty and trust with Globe,” Sazon said. Couldn’t have said it any better. I have seen how lies and black propaganda have been hurled by the competition especially via social media channels such as Twitter and Facebook… and with all the bashing against Globe that never seems to end, all you have to do is simply look at the numbers. Because as some people would usually say, “Figures never lie”. ‹ Max’s Window Shopping Time › Damn Proud! I hope Globe Postpaid would have better deals than Smart’s offering. I would really love for them to offer a deal comparable to Smart’s Freedom plan. Something I’d be proud of recommending to my family and friends. But Smart’s Freedom plan targets more of the student type. No docs needed coz you’re limited to only 600. Yes, it’s a postpaid plan but a limited one at that. If you lack documentation, then maybe it’s the only postpaid-ish plan one could avail of… but if you have the necessary requirements, I don’t see any reason why you wouldn’t go for a Globe postpaid instead. It’s more affordable and has better plans. i don’t know… in terms of investments this is good… but you see I used to be a prepaid subscriber and spends only Php100 for just texting madalas hindi ko nauubos. I’m only after the 30 days expiry. the thing is I always received delayed messages. maybe its the phone, sim or the location. and what really pisses me off was that the field engineer would like to conduct signal testing at 8pm on where I live… I decided to try other networks.